In every movie, there are ideas that never get used and X-Men: First Class (2011) is no exception. While some are not used for various reasons, some are really cool. Julian Caldow (Babylon A.D, Prince of Persia, Prometheus) has some great views of the War Room, Hank "Beast" McCoy's (Nicholas Hoult) lab and a much sleeker alternate view of the X-Plane. Check them out after the jump and click on the images to enlarge. "Directed by Matthew Vaughn, X-Men: First Class charts the epic beginning of the X-Men saga, and reveals a secret history of famous global events. Before mutants had revealed themselves to the world, and before Charles Xavier (James McAvoy) and Erik Lensherr (Michael Fassbender) took the names Professor X and Magneto, they were two young men discovering their powers for the first time. Not archenemies, they were instead at first the closest of friends, working together with other Mutants (some familiar, some new), to stop Armageddon. In the process, a grave rift between them opened, which began the eternal war between Magneto’s Brotherhood and Professor X’s X-Men." What do you think of the illustrations? I've done work with real fighter jets, so the interior sketches are very impressive. 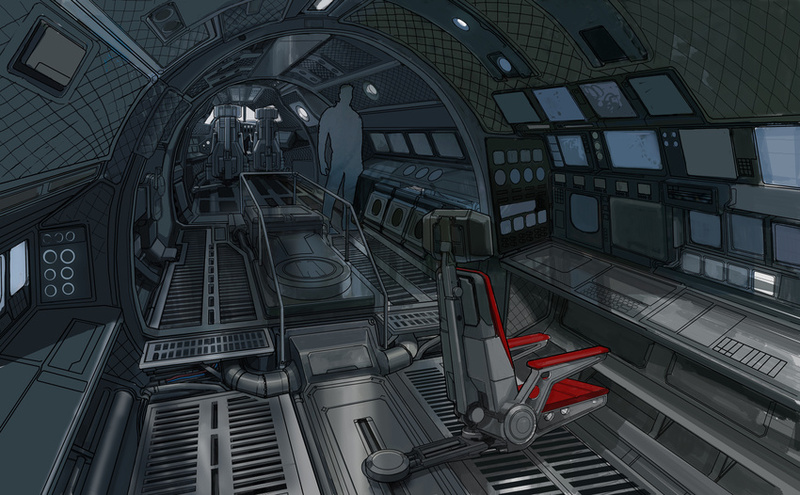 Though his work on the jet interiors & the lab look great, I like the exterior jet design that was used finally in the film. The clunky & bulky design makes it look like it belonged to that 60s time period. That being said, awesome post. It's made me realize I need to work on updating my XFC concept art post next, so thanks for that! I'll reply to this comment with the link once I update it. Ooh! May I ask what work you've done with jets?